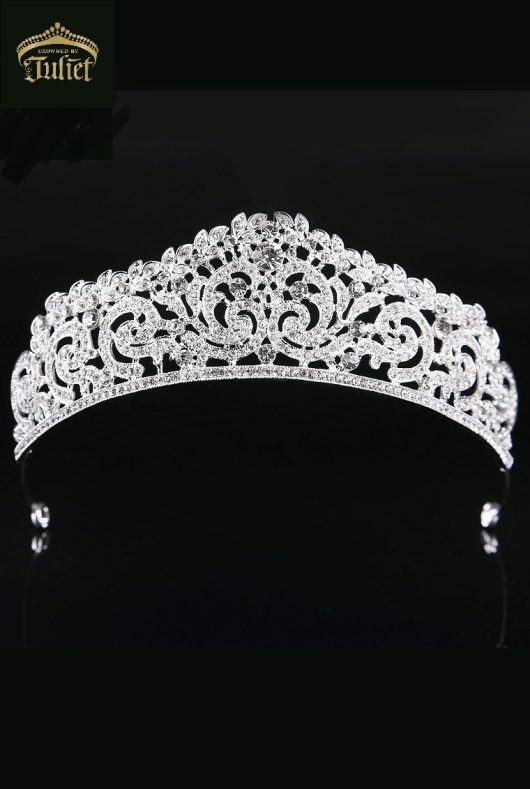 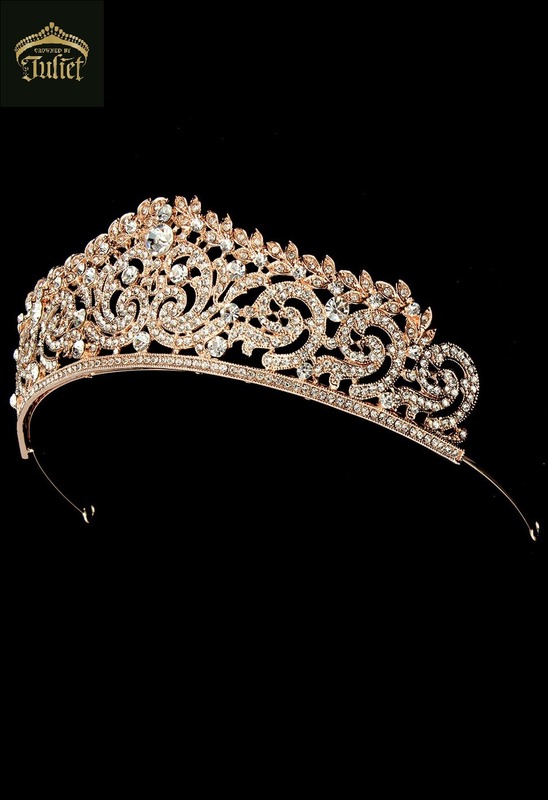 There is a classical Greek and Roman essence to this very intricate pavé tiara. 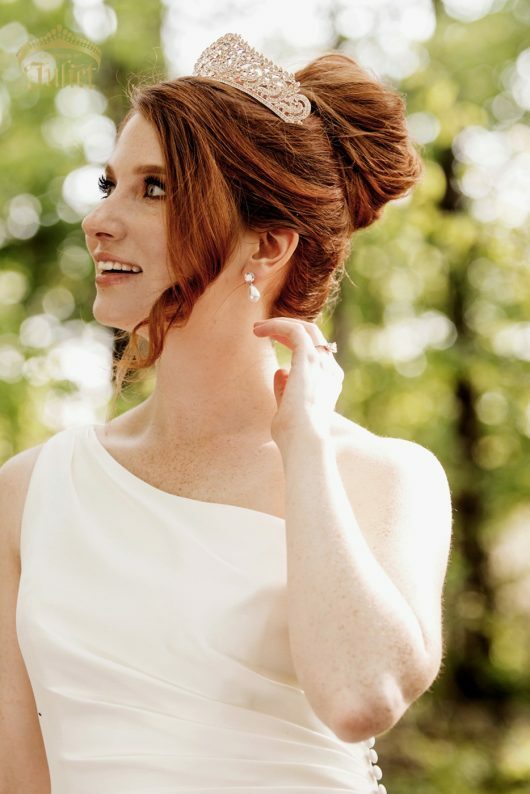 Nearly every surface is laden with Pavé crystals, producing a fabulous sparkle for the lucky bride wearing it. 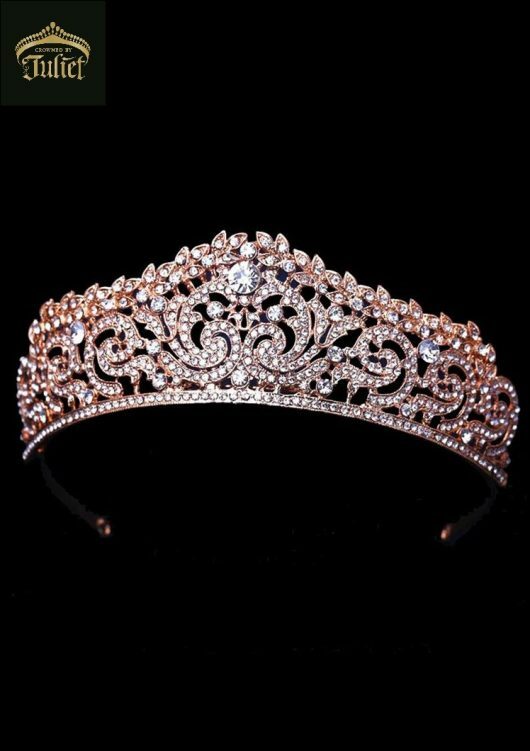 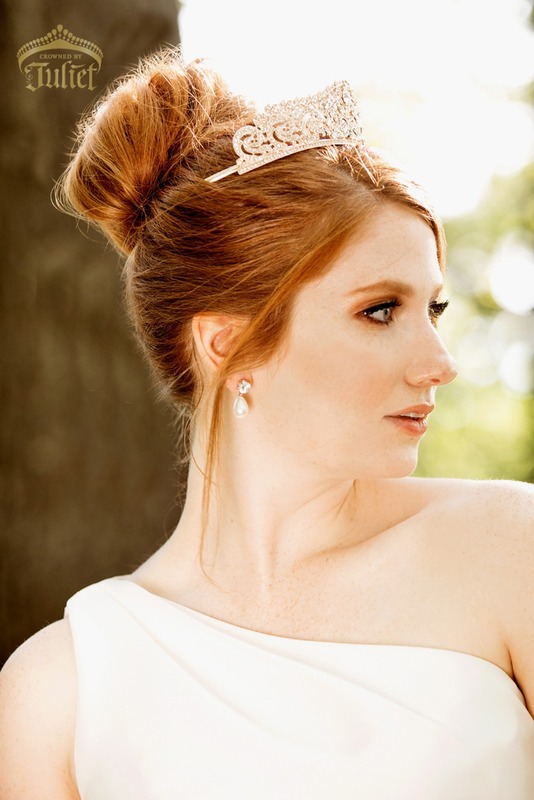 We don’t know which colour of this tiara is most beautiful – rose gold, silver, or gold, but we do know that whichever colour of LEDA that you choose, it will look classic and elegant on your head.